A bad fall can be life-altering for an older adult – from broken hips that impair mobility to a traumatic brain injury that could cause irreparable damage. 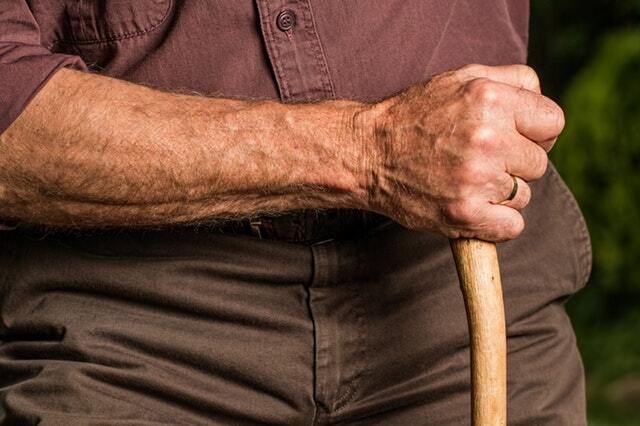 Unfortunately, the threat of falls is all too prevalent for older adults. The risk of falling only rises for those who are 75 and older. There are plenty of things you can do to help prevent an older adult from falling. 1. Exercise! - Exercise programs should include balance and strengthening to be effective in reducing falls risk. Exercises involve using resistance to build muscle bulk and bones and can include use of weights, therapy bands, or your own bodyweight as resistance..
2. Check all Medications - Have your doctor or pharmacist check all of your relative’s medications for possible interactions and side effects like drowsiness, dizziness, and cognitive "slowing" that can increase the risk of falls. 3. "Pump the Gas" - If you get up during the night to use the bathroom, sit for a moment or two before standing to give your blood pressure a chance to adjust to your upright position. "Pump the gas": Point and flex your feet a few times to get the blood flowing. 4. Wear Shoes - It's important to wear shoes both inside and outside of the house. Well-fitting shoes that offer support and have low, flat, wide heels, a back and nonslip soles are safest. 5. Beware of Dangers in the Home - Remove obstacles such as throw rugs, electrical/phone cords, and clutter, so there's a clear path through every room. In the bathroom have grab bars properly installed by a professional or handyman. If you or a loved one is having trouble walking, feels like they may fall or has fallen in the past, we can help! Our office has options to help prevent falls. Call our office to learn how to keep yourself and loved ones safe.